The House in the Garden was completed in 2006 by the Texas based studio Cunningham Architects. 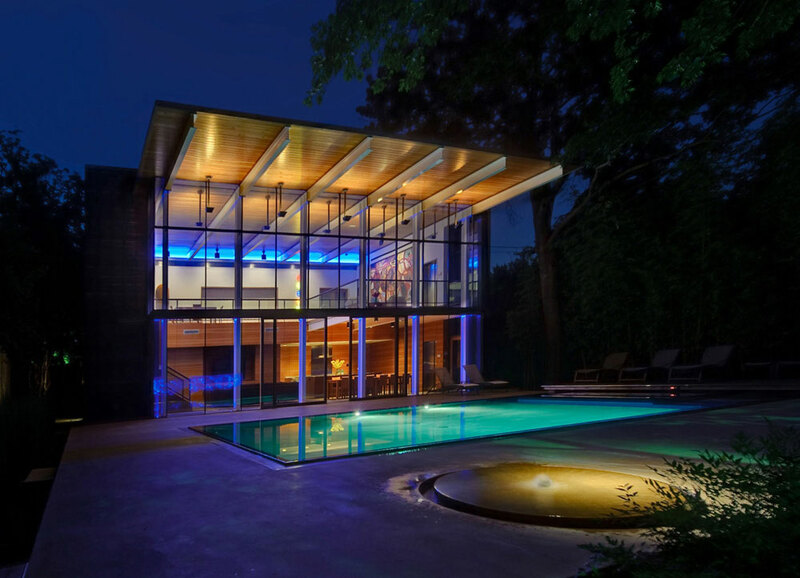 This 5,250 square foot modern home is located in Dallas, Texas. One of the most striking features is a privacy wall, made from recycled glass, and lit from within.